Settled in Dorset since 2006, Gail Aldwin has lived in Australia, Papua New Guinea and Spain. Her work includes a collection of short fiction Paisley Shirt which was longlisted in the Saboteur Awards 2018 and adversaries/comrades a poetry pamphlet published by Wordsmith_HQ in 2019. As chair of the Dorset Writers’ Network, Gail works with the steering group to inspire writers and connect creative communities. She supports undergraduates on the Creative Writing BA (Hons) at Art University Bournemouth as a visiting tutor. 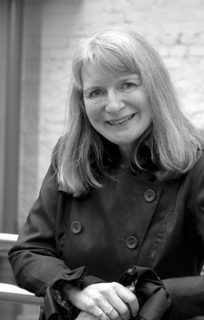 In 2017, Gail was awarded a residency at Brisons Veor to facilitate a period of time dedicated to new writing. She received a Mairi Hedderwick bursary to attend a writing retreat at Moniack Mhor, Scotland’s Creative Writing Centre in 2016. Her short fiction came runner-up in Elle Magazine’s 2015 search for the next writing superstar competition. Gail’s stories can be found in a range of print anthologies including Flash Fiction Festival One (Ad Hoc Fiction, 2017), Gli-ter-ary (Bridge House Publishing, 2017) What I Remember (EVB Press, 2015) Dorset Voices (Roving Press, 2012), The Last Word (Unbound Press, 2012). Online publications include poetry at Words for the Wild and short fiction at Ink, Sweat & Tears. An insightful, engaging novel, The String Games breaks the reader’s heart and leave them turning the pages ever more quickly to get to the truth of what really happened.